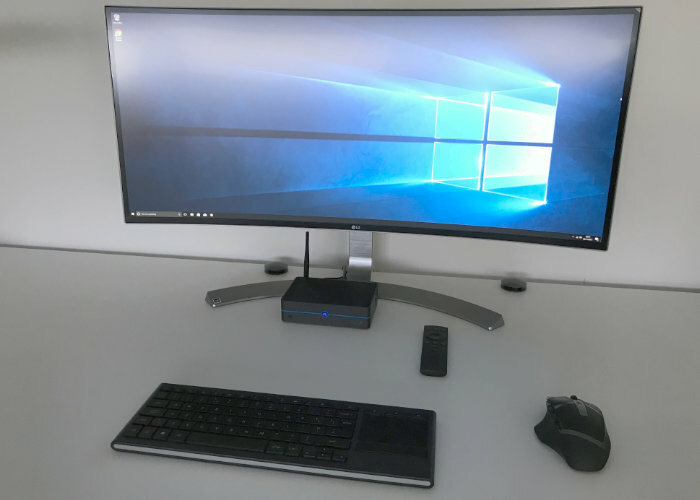 Following on from the quick unboxing of the new Azulle Byte 3 fanless mini desktop PC system a couple of weeks ago, I have now had time to put the compact Windows 10 computer through its paces both as a business desktop workstation PC and a home media centre. 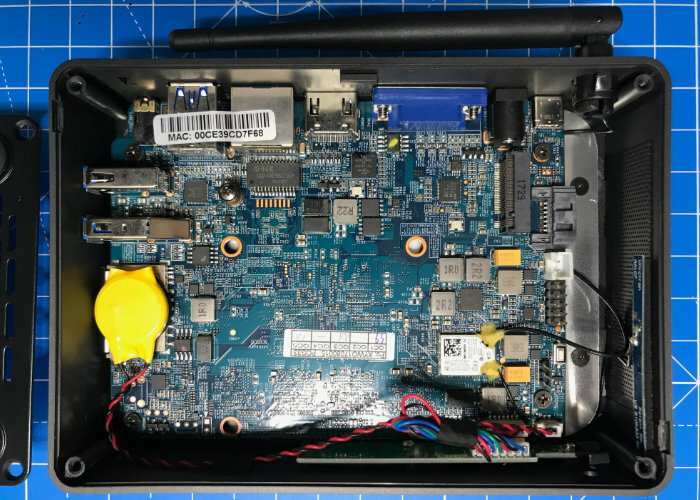 My first impression of the Azulle Byte 3 even before booting the mini PC was the build quality of the PC and the quality of the shipping packaging. The system itself is well-designed sporting a curved corner design finished in black plastic with venting on the left-hand side and a ribbed surface on the top to help with heat dissipation providing an extremely compact anaesthetic mini PC system. The Azulle Byte 3 is powered by a Quad-core Intel Apollo Lake N3450 processor supported by options for either 4 or 8GB DDR3L SDRAM and comes equipped with 32GB of eMMC storage. Although additional storage can be added using the handy M.2 slot (AHCI-SATA) or via the included SD card slot on the right-hand side of the PC, capable of accommodating up to another 256GB via SD cards. 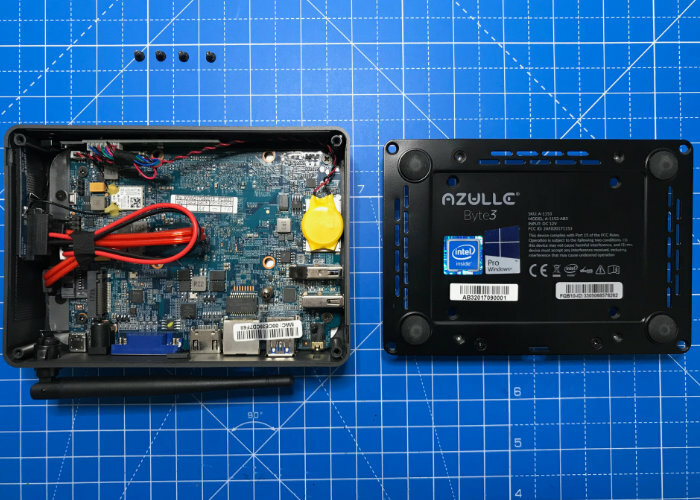 Once you power up the Azulle Byte 3 first thing you notice is the lack of any sound coming from the desktop mini PC, thanks to the passive fanless cooling system designed and installed by the engineers at Azulle, allowing it to sit quietly on your desktop even when under considerable load. Although as you would expect of a fanless design, fitted with heat dissipation technology, after some time the top surface of the PC does become slightly hot to the touch, and I wouldn’t suggest resting anything on top of the system while in use. After downloading the obligatory Microsoft Windows 10 Professional update to the system, the Byte 3 quickly connected to both my wireless and wired networks. Providing plenty of speed even via a wireless connection maxing out around 22-23MB using the systems onboard 802.11abg dual-band Wi-Fi card and supplied antenna, without any help from the 1 Gigabit Wired Ethernet Port. 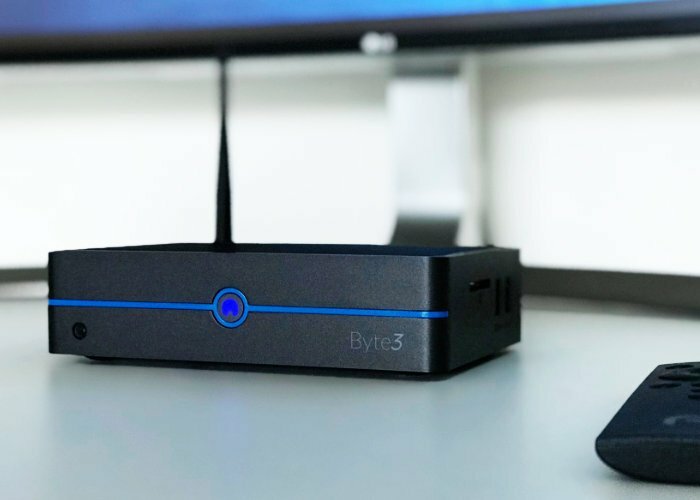 For this hands-on review, I wanted to primarily test the graphics power of the Azulle Byte 3 desktop mini PC and connected it to my extensive 34-inch curved display cable of providing a max resolution of 3440 x 1440 pixels. In the past other mini PCs, I have tested and reviewed have sometimes come unstuck here and struggled to accommodate the larger resolution being unusable or not even supporting the dimply at all. The Azulle Byte 3 coped with the high resolution without any issue and allowed me to watch 4K and HD YouTube video that fullscreen over Wi-Fi making it fantastic as an affordable home entertainment system. 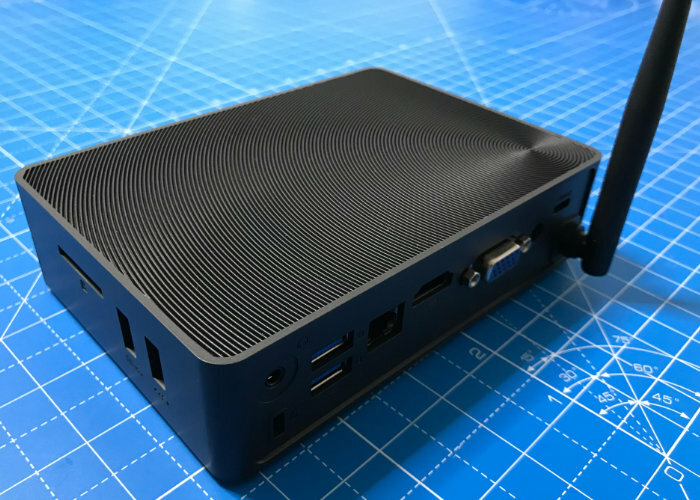 Once the entertainment testing was over, I then used the Azulle Byte 3 fanless mini desktop PC as a Windows 10 desktop workstation powering up some applications, spreadsheets, documents and browser windows. After loading the system, I did notice a small amount of lag while resizing and moving Windows but this was reasonably negligible even on my large 34-inch display and when I connected it to a more modest HD screen was non-existent. 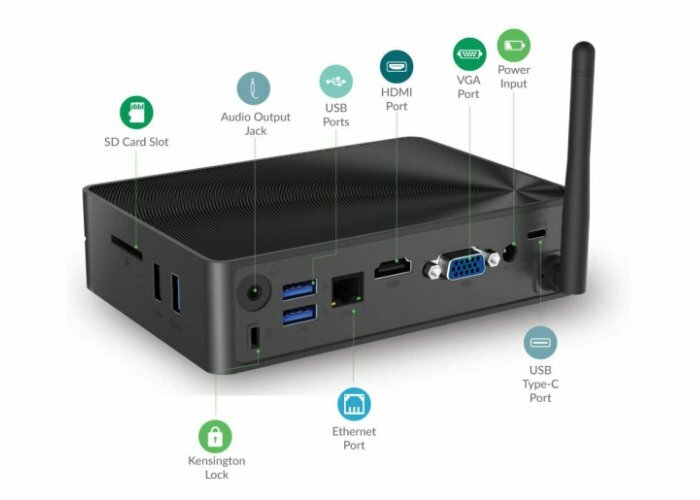 Overall the graphics processing provided in the mini PC by the Intel HD Graphics 500 GPU which supports 4K Ultra HD video stood up to all the business style applications I could throw at it. The Azulle Byte 3 comes fitted with a single HDMI port and one VGA port, with other ports on the mini PC taking the form of 5 USB ports. 3 x 3.0 USB, 1 x USB 2.0 and 1 x Type C USB located on the rear, with two USB is on the side next to the SD card slot. 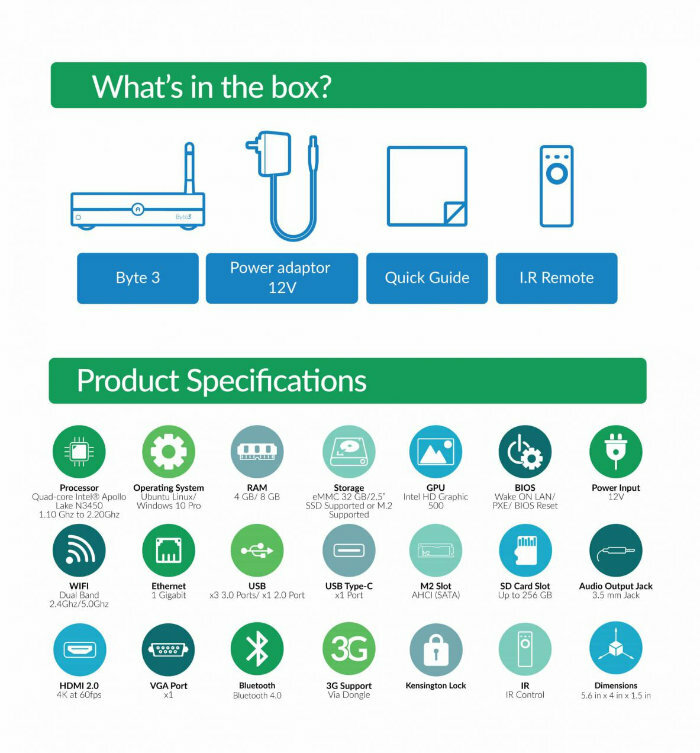 The wide variety of ports on the small system enable users to connect a wide range of different peripherals, such as extra storage or Bluetooth receivers, thanks to the included support for Bluetooth 4.0 connectivity. For testing purposes I connected a Bluetooth Logitech keyboard and Logitech Bluetooth mouse without issue. Azulle has also included an IR receiver in the mini PC which also comes complete with a remote control making it a fantastic home theatre box to stream Netflix, set up a Plex server or enjoy YouTube videos on any display from the comfort of your chair and without the need for mouse and keyboard and the ability to switch off the mini PC using the remote rather than the on-off button on the case. To test out the Byte 3’s entertainment qualities I also connected the mini PC to a Full HD projector and encountered no problems streaming movies from the pre-installed Windows 10 Pro 64-bit operating system. 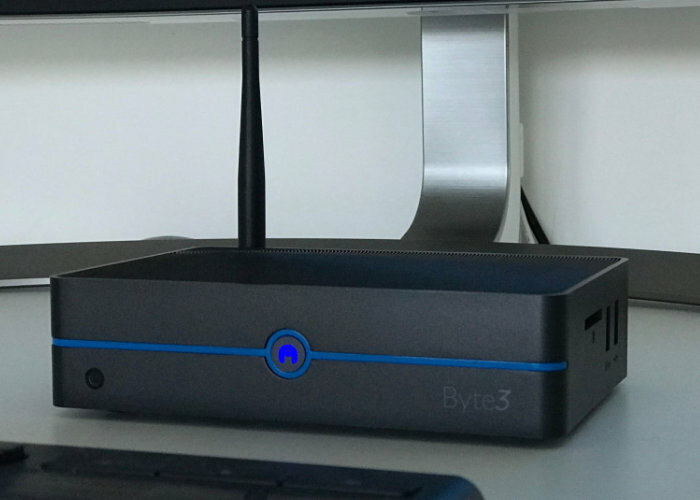 The Azulle Byte 3 desktop mini PC is suited to a number of different applications and could be used as either a home entertainment system offering 4K Ultra HD resolutions at 60 frames per second for video streaming or a Microsoft Windows workstation thanks to his easy setup, and quiet fanless design. The Azulle Byte 3 is available in two different configurations starting at $199 for a 4GB DDR3L SDRAM system with 32 GB of eMMC storage, or a slightly more powerful system equipped with 8GB of DDR3L SDRAM priced at $338 from the main Azulle website via the link below. If you decide to use the Byte 3 as a home entertainment hub you can also fit extra solid state drive (SSD) storage internally thanks to the inclusion of readily available cables that are already waiting to accommodate a solid state drive (SSD), as you can see in the pictures below, once the metal base plate is removed. 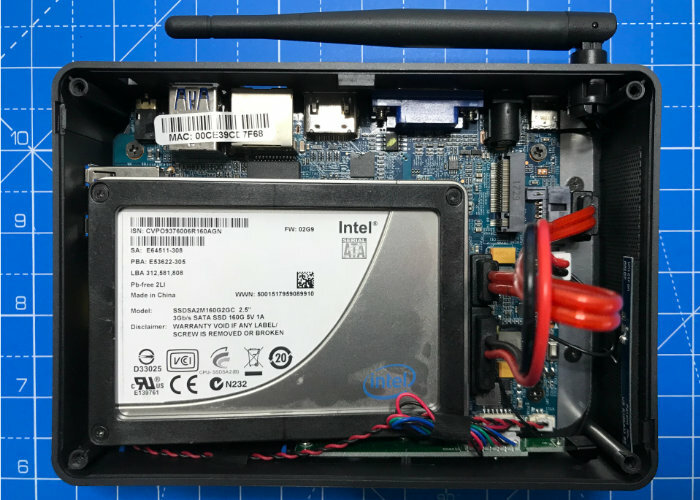 The build quality of the Azulle Byte 3 mini PC is second to none and the combination metal and curved plastic casing provides a rugged and stylish casing for the powerful little computer, which provides amazing power and quality for $199. 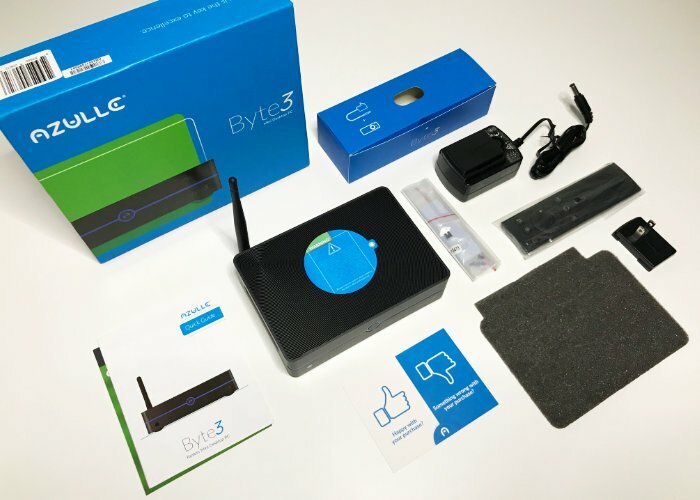 For more information, full specifications on the Azulle Byte 3 mini PC and purchasing options jump over to the official Azulle website by following the link below.